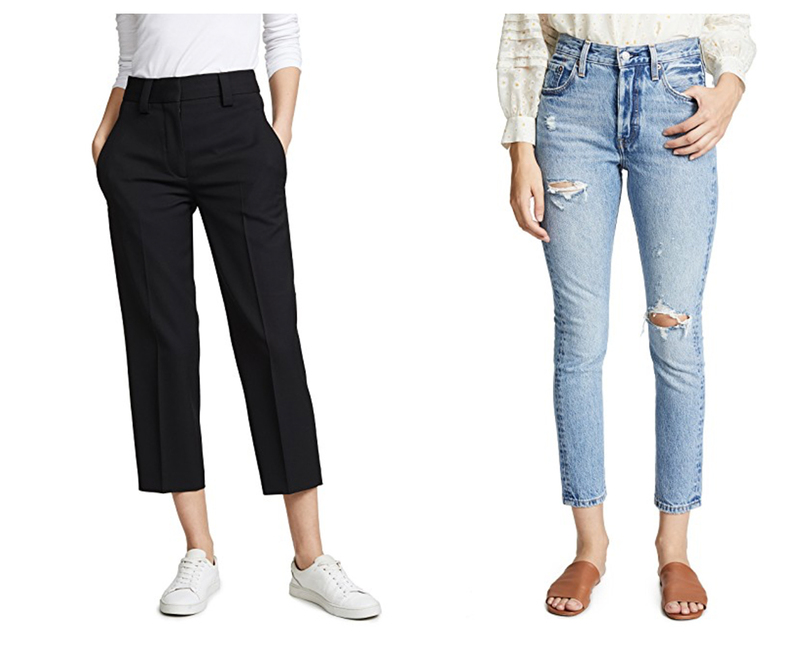 In collaboration with Shopbop, I’ve made a special edit of My Picks of Everyday Essentials. These are the things I wear on a weekly basis, from Summer through to Winter. They hold my wardrobe together. They go with everything. They make it so easy to get dressed in the morning. 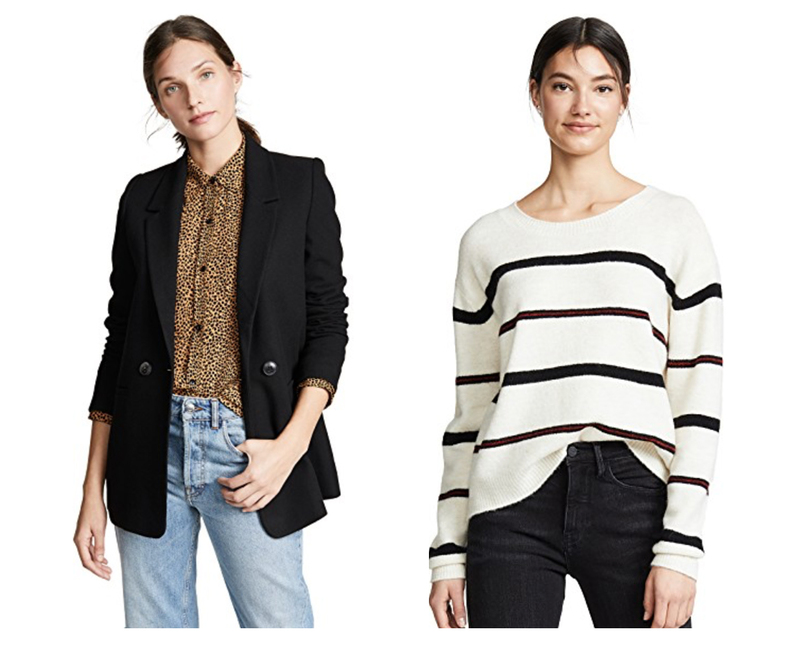 And help me so much when buying trend pieces to create current looks. Admittedly there are a few missing pieces from this collection, but I wanted to keep the list to my top 12. Hope you enjoyed my edit! I’m expecting to be working in a shared office soon (more on that later! 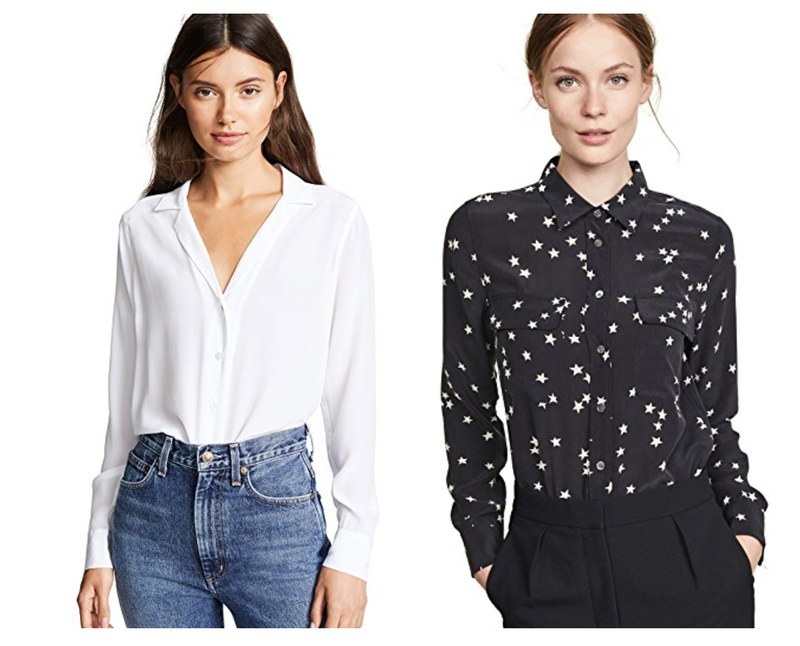 )… so from now on, a lot of new additions to my wardrobe will be work-friendly pieces. 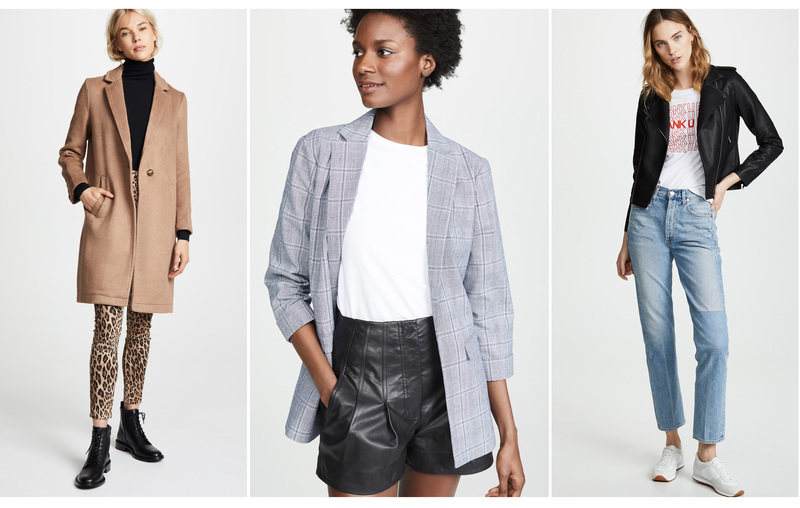 Putting together a work-friendly wardrobe is a lot easier for me because I work in the creative industry, where dress codes are pretty flexible! Well I’ve been stocking up on lots of midi-skirts lately and I finally picked up a leopard print skirt. 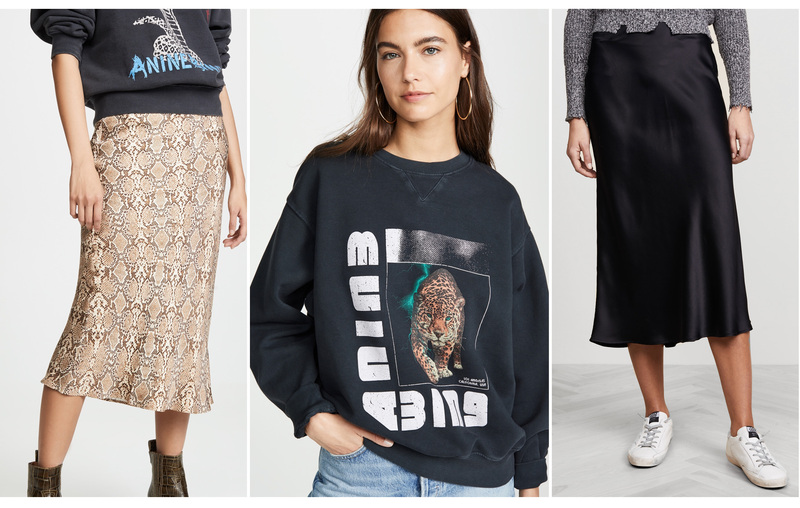 Leopard print, snake skin print and zebra prints are always in fashion – but they are having a VERY big fashion moment this new season. The latest trend is to wear print on print on print! But if you’re like me, I like to stick with classics. I picked out this Leopard Print Satin Skirt courtesy of Showpo. It’s slightly thin, but not see-through and it’s very affordable for a trend piece. Can’t wait to share more of my work-friendly pieces! Hello from me and my dorky teeth selfies! I recently had my teeth whitened – and I am so sooooo happy with the results! In-chair teeth whitening at Iconic Dentistry. 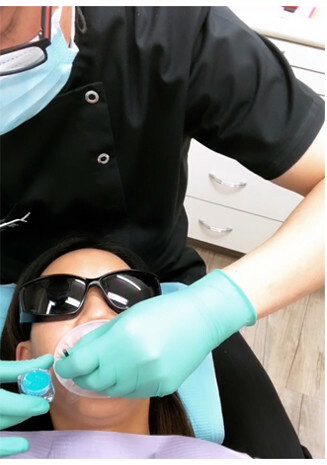 The whitening system and unique delivery technique was specially developed by Dr Michael Chan founder of Iconic Dentistry featuring a whitening solution by Pola White. So I had my teeth done about 6 years ago, by another dentist. I found that dentist through a Google search and they seemed to be highly rated and have good reviews. The whitening system they used was called Zoom. It gave good results, but… OMG I HAD SO MUCH PAIN, I COULDN’T HANDLE IT. I paid $900 for 1 appointment in the chair, with 3 lightening sessions. But I couldn’t sit through the whole 3 sessions. I had to ask her to stop because I was shaking with pain in my teeth, bones, jaw, skull, head – I honestly rated it as bad as childbirth. I was so traumatised by the whole experience that I found it a bit hard to talk about it without feeling anxious and a bit ill. Thus I decided not to share on my blog, because I honestly would not recommend it to anyone! I was NOT keen to get my teeth whitened again. But because I drink lots of tea, coffee and eat lots of curry… my teeth were quite yellow, and I had a bit of yellow staining in the crevices. It wasn’t THAT noticeable. I just tried not to wear white so much, because it enhanced the yellowness of my teeth. So part of me really wanted to get my teeth whitened. I wanted an expert to look after my teeth, not someone who did a training course. I wanted someone who would be mindful of the long term health of my teeth, had vast experience with teeth and able to spot any possible underlying problems I had. The dentist would check out my teeth to see if I had any decay, enamel problems, gum issues, or fillings that might react to the whitening solutions. And being in a dentist’s chair meant I have access to full dentist services like x-rays, teeth cleaning tools, spit basins, comfortable chair and more — basically I wanted to be as comfortable as possible. 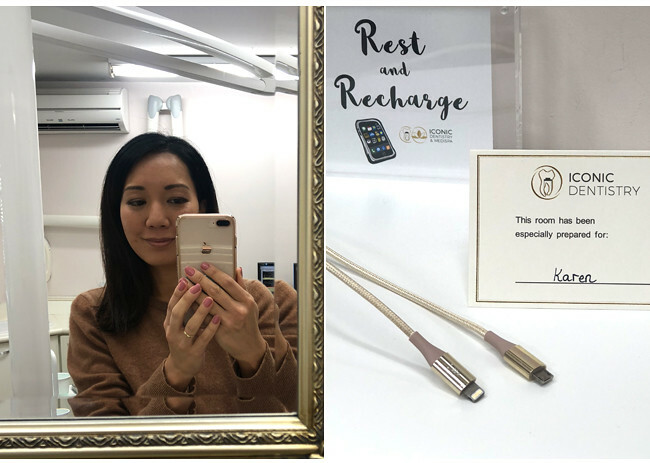 I do a bit of social media work with Dr Chan for his Iconic Medispa and he told me about his unique technique for delivering the whitening treatment that significantly increases its effectiveness. He also told me how it was VERY RARE for his patients to complain about pain, and certainly not at the level of pain I experienced. I asked a few other people who had tried the whitening service with Dr Michael… and everyone was super happy about it all and no one mentioned any pain. So I decided to give it a go with him. He checked out my teeth. Took x-rays. And he gave me a good clean – oops! 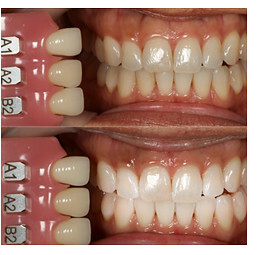 I had a few problems with my teeth (receding gums), an old filling, but they would not hinder the whitening treatment. My teeth were excellent candidates for teeth whitening. He took hi-res photographs. He prepared my mouth and made moulds of my teeth. I was nervous. I was expecting it to be very painful. My mouth was prepped and whitening solution put on. Saliva neutralises the whitening solution, so there was a lot of care to eliminate contact with saliva. I was given a soft, hi-tech, saliva sucking thing that rested inside my mouth (another good thing about going to a dentist) so I didn’t have to swallow/choke on my saliva. It was all very comfortable. I was given sunglasses, BOSE headphones (so luxe! ), put under a LED lamp – the same lamp used in medispa facials. I sat through 3 light sessions, and Dr Michael gave me a 4th session, because my teeth responded really well and I wasn’t feeling any discomfort. DID I FEEL ANY PAIN?? In the end, I had 2 tiny twinges of discomfort (which lasted about 1 second). I wouldn’t even call it “pain”. 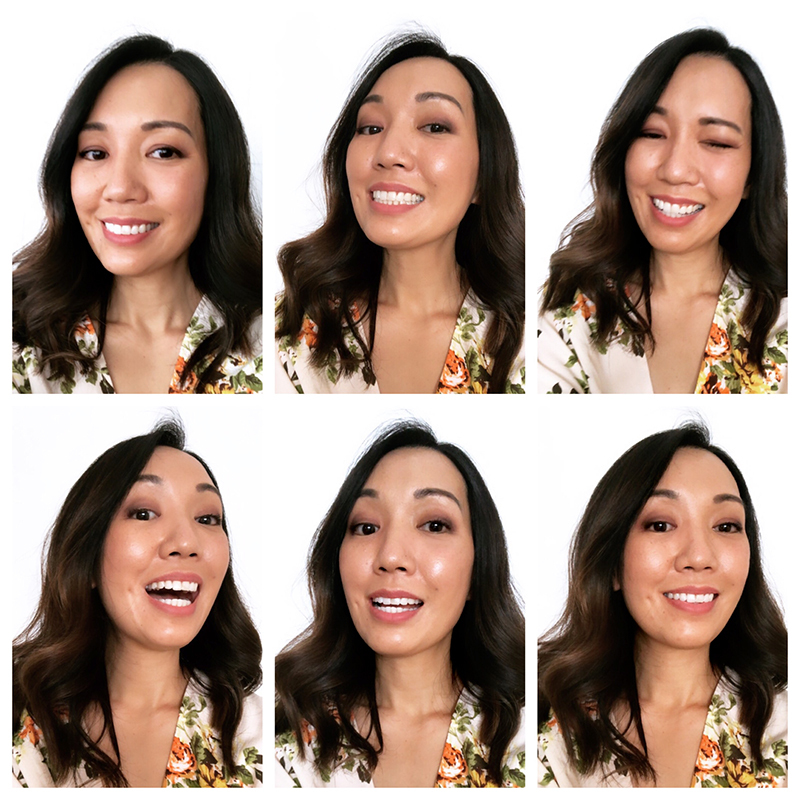 It was more like a small, surprising sensitivity in a single tooth, and it felt like absolutely nothing compared to my last whitening treatment. After the treatment, my teeth had a tingling sensation for a few hours. He took photos of my teeth immediately after the treatment. I was blown away by the before and after photos. So fresh, so natural and so beautifully done! The results were not fake or blinding white. I was sooooooo happy. I was given perfectly made teeth trays and a take home kit for at-home whitening — the teeth trays need to be a perfect fit to make sure my saliva doesn’t mix with the whitening gel. I need to use the trays at home, for 3 days after the in-chair whitening. But I don’t need to do any “top ups” for around 6 months. These are all included in the total price. I came home and my husband, who isn’t a big fan of cosmetic or beauty treatments, was also blown away by the results too, saying my teeth looked really nice and natural. And now he is booked in for the same whitening treatment! I was so impressed by the professionalism, the step by step explanations, the details to patient care and comfort, the careful delivery technique, the everything. Unlike my first experience, this time, I have been telling EVERYONE I know about my teeth! And just in case you’re wondering, I do a little bit of freelance design work for Iconic Medispa and in exchange, my whitening treatment was a complimentary service. However, because of my first bad experience, I was a bit skeptical about the treatment (haha sorry Michael! ), and I didn’t make any undertaking to do this write up, in case err… it didn’t go well. But hey, the experience and the results were amazing… and I’m so proud I get to work with super-duper highly-skilled experts who truly care about their service, their product and go the extra mile to ensure an excellent result! A biiiiig thank you to the team at Iconic Dentistry! With March just around the corner, I have a few upcoming celebrations for some special people in my life – a wedding, engagement and a 50th! 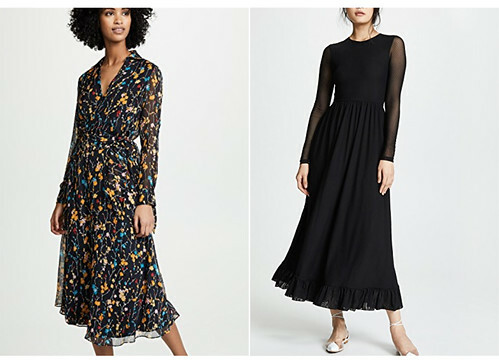 So I’m on the lookout for some cute dresses for the new season, and it just so happened that my favourite shop is having a Buy More, Save More Sale! Use the code “GOBIG19” at the checkout. VIP Access starts today, so sign up to get in quick! 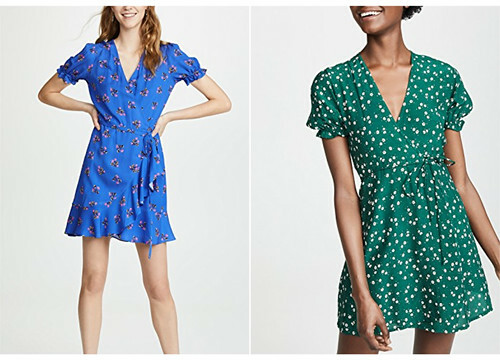 Here are some dresses I wish I could add to my cart! Camellia Dress by RIXO – Love the rainbow colours and wild floral print. 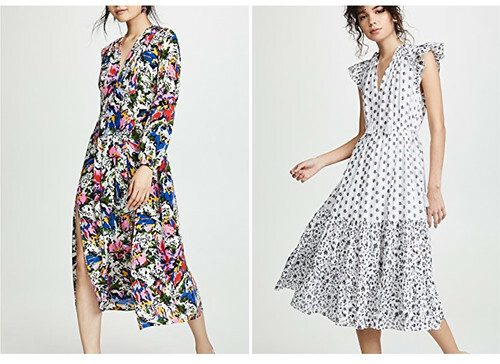 Benita Dress by Ulla Johnson – Ladylike style with mixed polka dots. Ruffle Wrap Dress by Diane von Furstenberg – DVF always has such lovely dresses. Mira Dress by Faithful The Brand – Sooo many cute dresses from this brand. Devoted Midi Dress by C/Meo – Love this black and white pinafore style. Would wear this to death! 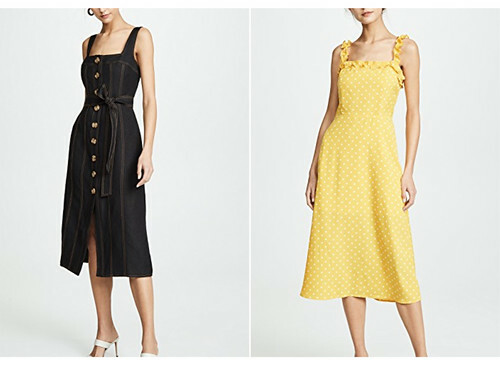 Remy Dress by Re:named – Yellow and polkadots and ruffles are perfect for summer parties. Fleurs Vivienne Dress by Equipment – Dark florals are definitely my jam. Dot Mesh Dress by GANNI – So much love for this elegant and floaty dress. Virgil Wrap Dress by Alice + Olivia – Is this too short for work? Probably. 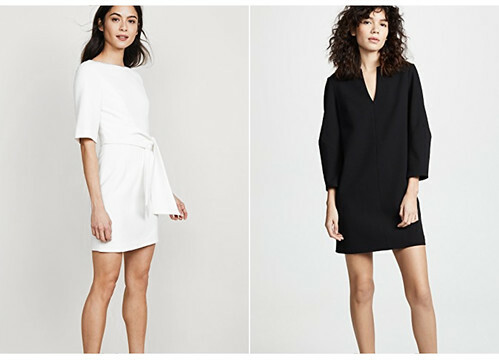 Sculpted Sleeve Dress by Tibi – Sleek, minimal, structural and chic. I’ll let you know how I go with picking something out. Hope you manage to find something you love! I am a huge fan of Isabel Marant’s aesthetic – I just love her effortless and whimsical elegance, with a French boho edge. When I think of the brand, I often think of shoes, boots, cool tops and jackets. I don’t usually think of bags. However, this one got me good! 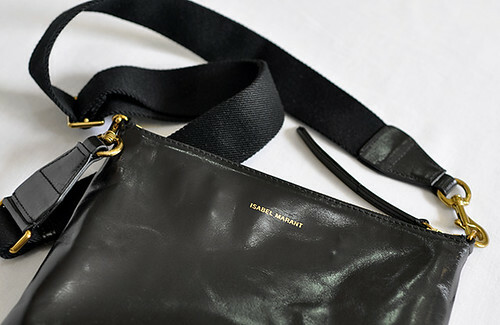 I’m thrilled to have added this Isabel Marant Nessah Crossbody Bag to my wardrobe this season. The bag comes from her Spring Summer 2019 bag collection, which features lots of studs, fringes, patchwork leather, contrast stitching, snakeskin prints, suede details and a bohemian “Western” feel. 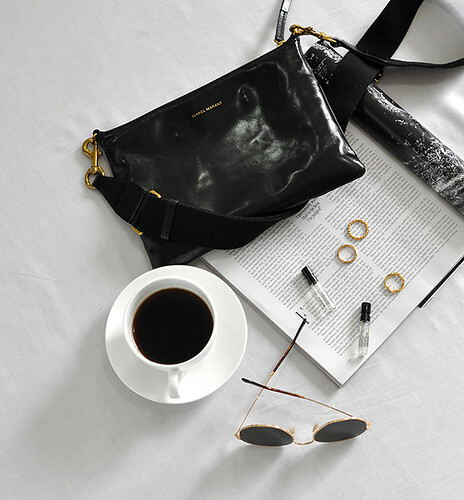 The bag is a crossbody style, in a great size. It is 25cm x 18cm, a bit bigger than an A5 sheet of paper. 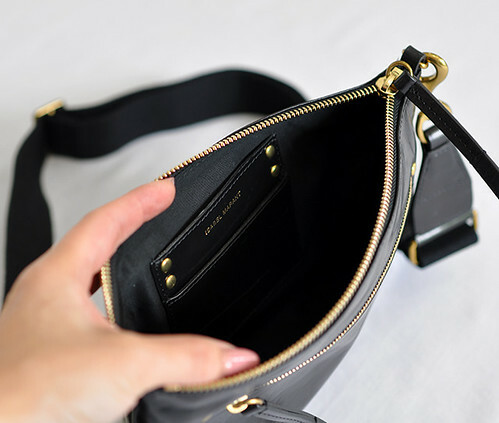 It fits all the usual suspects, wallet, keys, phone, lipstick, sunglasses, pack of tissues. 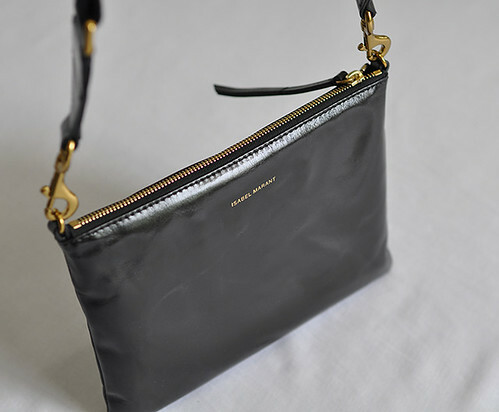 It is really a large clutch with a thick, removable (and adjustable) shoulder strap, which I feel, takes a nod at the recent utility/bumbag trend. Trend-driven or not, the thick strap is fresh and different look, which I am in desperate need of! 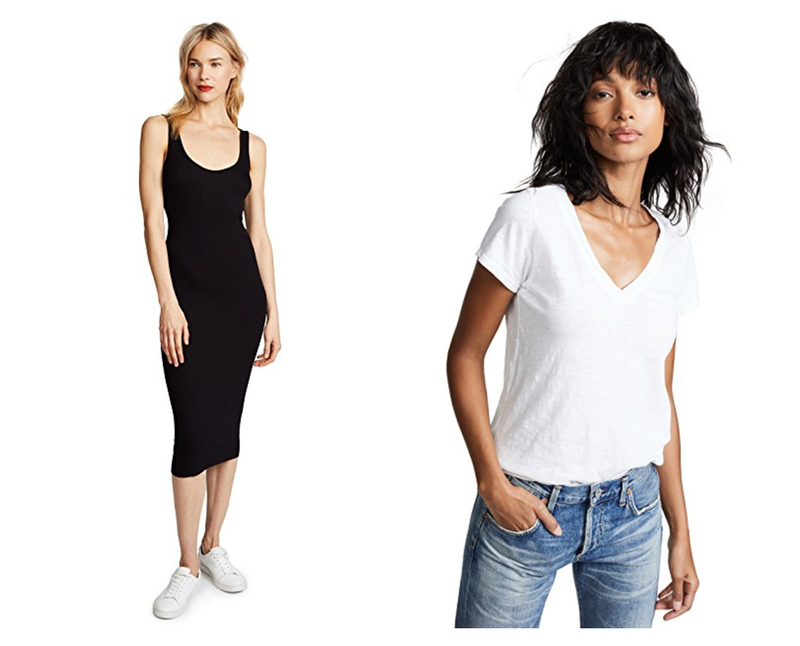 I just love the kind of effortless, “throw together” casual vibe it brings to my outfits. 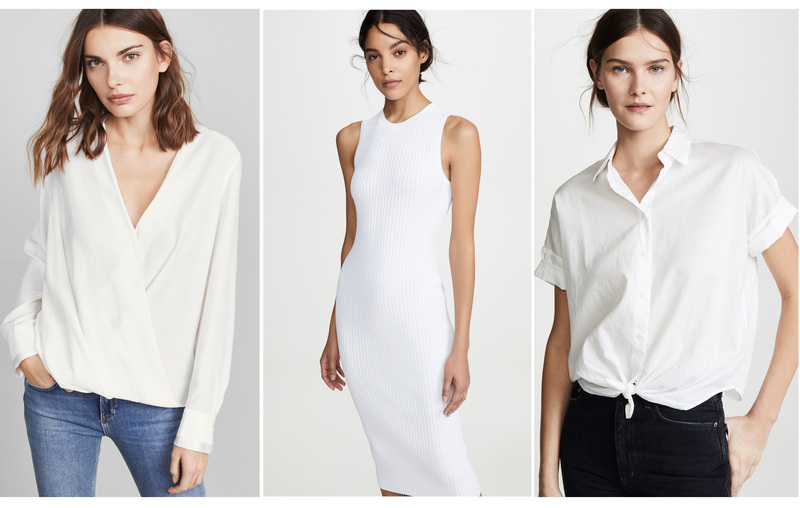 Its simple and minimal style makes it versatile and easy to wear with everything. There is also a white option and a blue option. It is made from textured cowhide, with a lining. The texture reminds me of the Balenciaga Classic City Bag. The leather is so lovely and so easy to maintain. Scuffs and scratches don’t show up. Bumps or pressure points don’t show up. Water spills, greasy finger prints, condensation drips from my takeaway coffee (omg this one gets me all the time!) — nothing shows up. I just wipe it off with a soft cloth and it still looks perfect. I try not to overfill it, because I don’t want the leather to stretch out of shape. So far so good. The bag doesn’t seem to have much structure. So if I just carry my phone and keys in it, the bag kind of flops around and “bends” around my body, and it just feels a bit flappy and light. Very versatile style. 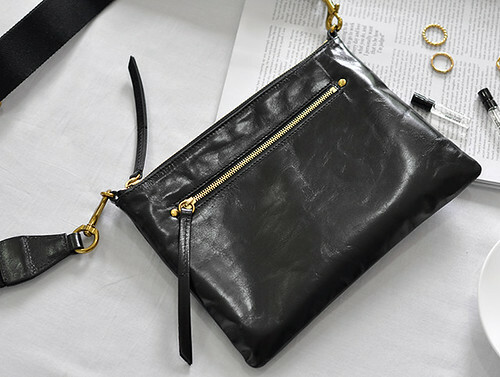 I can use it as a crossbody bag or a clutch. I could swap the strap, put on a gold chain strap to give it a different look. Easy to clean leather. Doesn’t show any scuffs. Excellent size for the small handbag category. A bit expensive for a simple casual bag. Strap can look a bit too casual. The leather doesn’t have much structure. Despite the cons, I still adore the bag, given it’s easy leather, great size and gorgeously simple style! 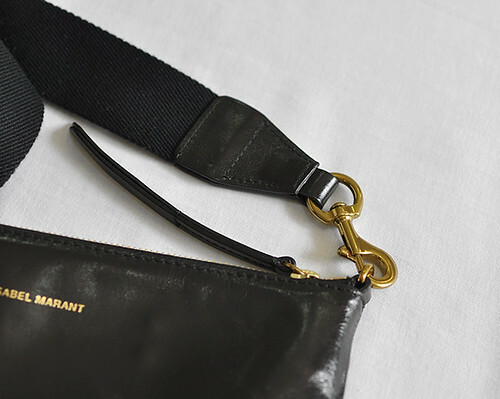 If you are considering to buy an Isabel Marant Bag, I hope this helps in some way. I’m absolutely loving this glorious Summer weather… and heading out in the evenings in nothing but a summery dress! While I love my dresses, I feel that investing in statement skirts is far more effective way to extend the life of your wardrobe. When I buy a statement skirt, it has to be superb quality and be in a different style to all the other skirts I have. 3) Brand – I love supporting my favourite brands! So it could be a $60 skirt with a stunning print. Or it could be a $120 skirt one of my favourite sustainable brands. In this case, I’m wearing this Isabel Marant Skirt from one of my favourite brands – unfortunately this style is sold out, but there are quite a few other beautiful colours and patterns available. Celine Baby Audrey Sunglasses from Vision Direct. If you’re interested, I wrote a more extensive review of the skirt + sizing in this blog post.